The terms of GPLAC co-coordinators Marla Bernstein and Ajay Rai http://losangeles.cagreens.org/officers commenced in July 2016 http://losangeles.cagreens.org/county-council/minutes/2016-07-10 and were to run for one year, but no election for new terms was on the July 2017 County Council agenda. The terms of whomever is elected at this meeting will run through July 2018. Green Party member Angelica Duenas is running for Congressional District 29 in the NE San Fernando Valley https://www.facebook.com/Angelica4CA29/. Endorsement requires a 2/3 vote with at least 3/5 of County Councilmembers voting. Background: The Green Party of California (GPCA) has long supported repeal of the Top Two primary system, ever since it was passed as Proposition 14 in the June 2010 primary www.cagreens.org/action/stop-top-two. This system has virtually eliminated Greens (and other small party candidates) from the November general election ballot for state and federal office, and has made it extremely difficult for Greens and other such candidates to even qualify for the June primary election ballot. As of the release of this agenda, a statewide initiative to repeal Top Two has been submitted to the Califoria Attorney General's office http://www.stoptop2.com/ • https://drive.google.com/file/d/0BziiJ7y89GQjaExaakVxZ19yck0/view • http://www.sacbee.com/news/politics-government/capitol-alert/article1685..., for official Title and Summary, with the signature gathering expected to start in late October/early November. Although the GPCA has long supported repeal of Top Two, it is not clear when the GPCA will take up a formal position upon this specific ballot measure. It may not happen until well into the signature-gathering period to qualify the measure, possibly too late for Greens to get involved to ensure the measure qualifies for the ballot. For this reason, this item is brought before the GPLAC now. Proposal: That the GPLAC endorse the Initiative to Repeal the Top Two Candidates Open Primary Act and that it authorize two email blasts in support of the measure, first to LA County Greens in the GPCA data base, forwarding them information now on how to get involved once the measure is assigned Official Title and Summary by the Attorney General's office and the measure is ready to hit the street for signatures; and then a follow-up email to get involved, sent right before the signature-gathering period is set to begin, which is expected to be late October/early November. Background: The current GPLAC County Council discussed and agreed upon holding meetings approximately every six weeks, with occasional teleconferences in place of face-to-face meetings. Current GPLAC schedule has a meeting scheduled for Sunday, October 22 in the Antelope Valley, however its not clear that the local Greens are ready to host it, and with other Greens hoping to join the County Council, it might make sense to have that meeting more centrally located. Six weeks after that is December 3. Six weeks after that is Sunday, January 14. However there is a bill (AB 469 https://legiscan.com/CA/text/AB469/2017) that is working its way through the state legislature that would change the starting date for gathering signatures-in-lieu of filing fees by about three weeks. For the 2018 primary election cycle, that would be starting on December 7. Therefore this agenda item proposes that the December meeting be held after that date, so that it can be used to gather signatures for Dueñas's candidacy to qualify for the ballot via the signatures-in-lieu route. Proposal: That the October 22 meeting be held somewhere within the center of Los Angeles County, that December meeting be held on Saturday, December 16, that it be followed by a holiday party in which Greens from across the county are invited and that it be held in Congressional District 29 at a venue located by Angelica Dueñas and reported to the County Council, and that $75 be alloted for the meeting for either facility rental and/or vegetarian refreshements; and that the January meeting be held on Sunday, January 14, at a location to be determined by the County Council. Background: In July via on-line vote, after the GPLAC did not have quorum at its July 16 meeting, the County Council approved a GPCA bylaws amendment "Bylaws Amendment - Elections Eligibility/Timing for Coordinating Committee and GPUS Delegation" http://losangeles.cagreens.org/county-council/agenda/2017-07-16 to be submitted to the next GPCA Standing General Assembly (SGA). That proposal was since co-sponsored by the Green Party of Contra Costa County. Under GPCA Bylaws 13-2 http://www.cagreens.org/bylaws/2016-07-03#Article_13-2_Amendment, County Green Parties may sponsor amendments to the GPCA Bylaws. Before they are forwarded to the General Assembly or the Standing General Assembly, each proposed amendment must be submitted to the Bylaws Committee, for its review and recommendations to the sponsors, including to promote consistency in numbering, format, terminology and meaning with existing documents, and to minimize ambiguity and to promote clarify. The GPLAC's proposal was forwarded to the GPCA Bylaws Committee email list on August 17 and heard on the agenda of the Bylaws Committee August 20 monthly teleconference. Thus far no feedback has been received. This item gives the County Council a chance to ask questions about the process and plan for the SGA. Background: Discussion has recently regarding issues around gathering the nomination signatures from registered Greens necessary to be eligible to be appointed to vacant County Council seats. In discussion with the Los Angeles County Registrar's office, language along the following lines would be acceptable to their office to allow such lists to be purchased; while at the same time preserving the GPLAC's impartiality in terms of making the data available to individual Greens, and requiring the individual purchasing the list to sign the document at the Registrar's office, creating a public record of their committment to follow the legal uses of the information obtained. This person's Green Party registration was verified at the time of receipt of their interest. 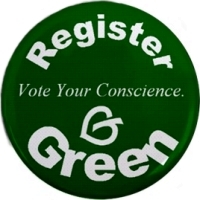 If they are still registered Green at the time of their application to the County Registrar's Office, they shall be considered to have met the eligiblity threshold to purchase a list from the County Registrar (similar to the process available during the regular ballot qualification period for the regular County Council elections every four years in the presidential primary). Background: GPLAC Bylaws Section 12-1 Recognition states that in order to be recognized as an Active Green Local by the County Council a local must submit 12-1.1 Its bylaws, membership requirements, decision-making process and mission statement. However there is no bylaws template, the lack of which appears to have held up some locals going through the recogntion process. This agenda item is an opportunity to discuss a bylaws template to help faciliate this process. Delegates to General Assemblies are chosen on a General Assembly-by-General Assembly basis. In other words, one is only chosen for that General Assembly itself, not for any longer term of time. This is because each meeting is held in a different place at a different time, and therefore its not known who can attend which meeting in advance. This is beause the voting occurs on-line and there are no logistical limits to attend as would be with a physical, in-person meeting.